Work on preparing the site for the hall began at the end of April 2007. The hall was dedicated at morning worship on 4 May 2008. 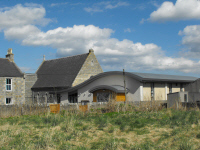 The official opening of the hall was performed by Very Rev Alan MacDonald, former Moderator of the General Assembly on Sunday 14 September 2008. 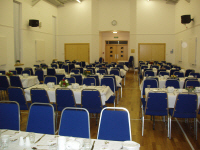 The hall seats 150 for a concert or 120 for a meal. The large store, and under-bench storage on the south side of the hall are used by Alford Playgroup. The store and under-bench storage on the north side of the hall are for church use. The wall display boards can be closed when not required. A discreet wash-hand basin has been provided beside the servery. The sound system and roof mounted data projector can be used both for transmitting sound and pictures from the church sanctuary; and for slides, videos and PowerPoint in the hall itself. The hall has its own induction loop system. Audio-visual equipment for the hall complex and the church provided through a bequest from the late John and Margaret Comfort. The Yamaha piano was donated by the Fincham family from Forbes. The hall is heated by a "wet" underfloor heating system. The staging is portable and can be stored away when not required. The cross above the side door was made by Mr George Gordon. 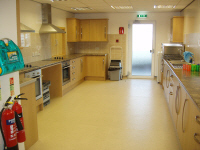 equipment and storage include two under counter fridges; two separate hobs and ovens, a commercial dishwasher; and space for a heated trolley; and crockery donated by the Howe Trinity Guild. 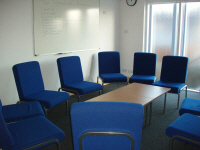 seating for up to 16 on easy chairs; whiteboard/screen; loop system, speakers which take the signal from either the main hall or the church Sanctuary. The crosses in the lounge and in the meeting room were made by Mr George Gordon using oak wood from the old panelling from the church. seating for up to 20 in meeting layout; whiteboard/screen; loop system, speakers which take the signal from either the main hall or the church sanctuary; the piano was formerly in the old Keig Church Hall, and has been completely restored by Messrs Ron and John Fincham. provides disabled access between the two levels, and was partly funded by Awards for All. provides accommodation for the minister, also access to large area for long-term storage (this store is for church use). forms a link between the church sanctuary and the hall complex, as well as providing storage and pigeon holes for office-bearers. 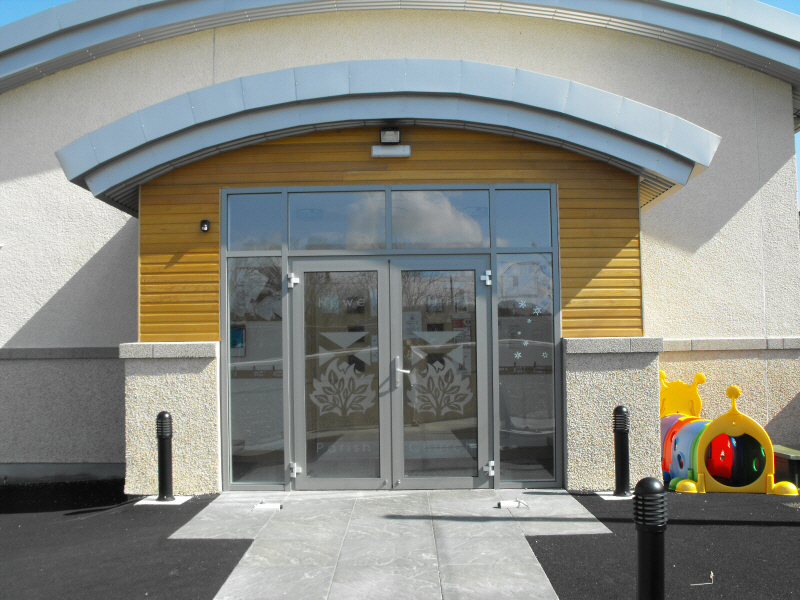 forms an entrance to the complex from the lower doors, with a large area for long-term storage (mainly for Playgroup use). A small office has been provided off the foyer. new bitmac surfacing to surrounding area; walled and fenced secure play area with safety surfacing partly funded by Alford Playgroup; bollard lighting and noticeboard (second noticeboard for the front of the church is on order). A 20-space car park to rear of manse is to be provided by Kirkwood Homes within six months of completion of the Kingsley Park housing development. The shop income was achieved through the goodwill of customers and donors; the work of the shop committee and all our volunteer staff, especially those who worked to prepare the shop each week under the shop co-ordinator, Mrs Norma Scott; and through the generosity of Mr Alan Grant in donating the use of the shop premises to Howe Trinity Parish Church. 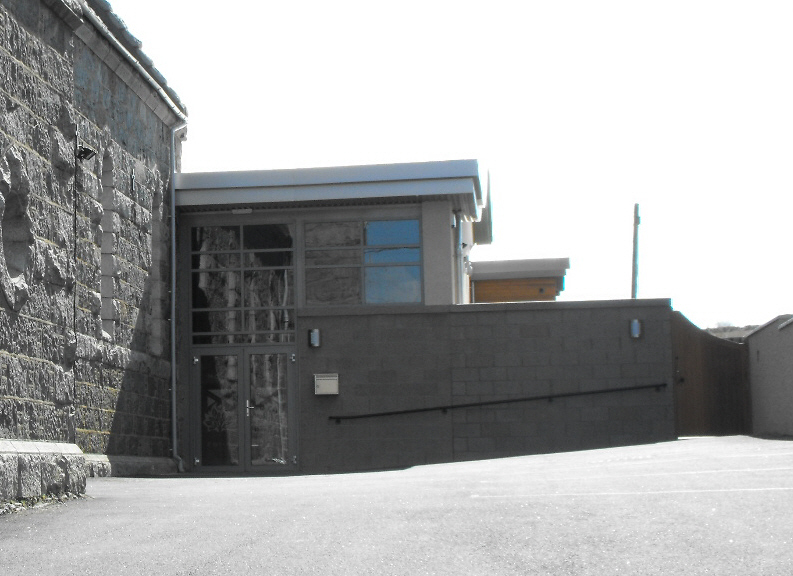 Having achieved it's purpose of paying the remaining costs of the church hall, the shop was wound-up at the end of 2012.